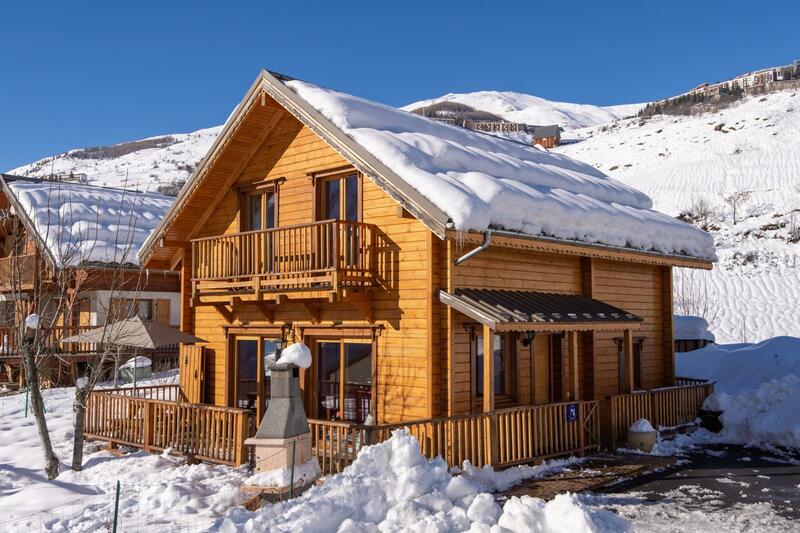 Charming wooden chalet in a mountain hamlet, south-facing terrace with garden furniture, from which you can admire the beautiful landscape that offers the valley of Champsaur. 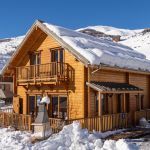 The nearby ski resort will allow you to enjoy all kinds of Nordic activities. Built with ecological materials (wood, cellulose wadding, heating by pellet boiler ...) for this gîte on 2 levels that can accommodate up to 8 people. Entrance on one level. Living room, kitchen (dishwasher, fridge-freezer, microwave oven), sitting area with TV, DVD player. A room (2 beds 1 person juxtaposables), room of water-toilet, washing-machine. On the floor 2 other rooms (2 beds 1 people juxtaposables), a corner living room with sleeping for 2 people in click-clac. Room of water, toilet. Ground, barbecue, swing. Local equipment. These accommodations meet with very strict regulations concerning the environment, and are testify to the practice of responsible tourism. The 'Ecogîte' accommodations use renewable energy and are equipped with energy saving devices, they practise recycling and manage water resources. 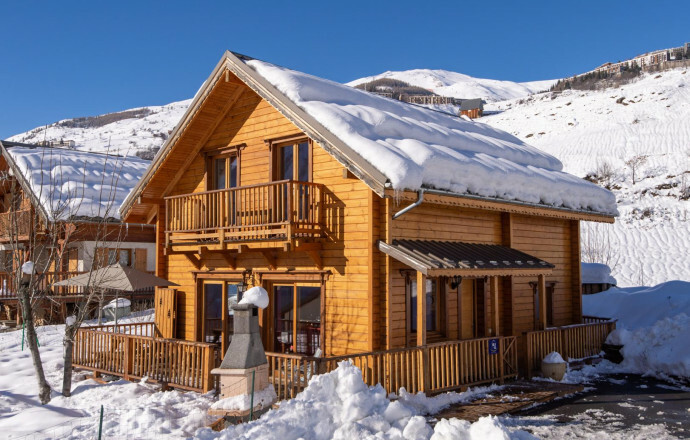 Detached House overlooking the Valley of Champsaur, in a town of the Ecrins National Park, built with ecological materials for the structure (wood) and insulation (cellulose wadding), heating provided by a boiler Pellet... The location and positioning allows to benefit from excellent sunshine year-round thanks to a façade and a terrace facing South. From the cottage, you will have many opportunities for tours to discover the fauna and the flora of the Ecrins. On a été ravi, pour le moins étonné de la beauté des lieux, et de la gentillesse de nos hôtes. Encore un grand merci à vous. Merci beaucoup pour cet avis,c'est sympa . J'en profite pour vous donner l'adresse de fabrice votre épicier. Fabrice Leone 1 rue grande 83440 CALLIAN Tel: 06 79 38 27 70 ou 04 89 53 08 08 Cordialemenrt. 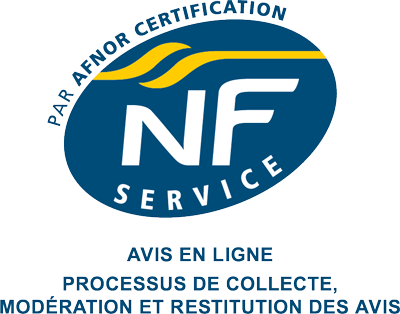 Un séjour très agréable passé dans ce gîte très confortable avec des propriétaires attentionnés ! Grands et petits sont ravis. Un grand merci pour votre avis je vous souhaite une bonne continuation. Merci pour votre avis,je vous souhaite a tous les quatre une bonne continuation. Merci les dijonnais d'avoir pris un peu de votre précieux temps pour cet avis sympathique ,le vous souhaite une bonne continuation. Bonjour miwi, merci pour votre avis. Les d'gats causes par votre fils sont minimes et ne nécessitent pas de réparation.Si vous devez revenir vous avez un avoir de trois jours....... Tres bonne continuation a vous et votre famille .